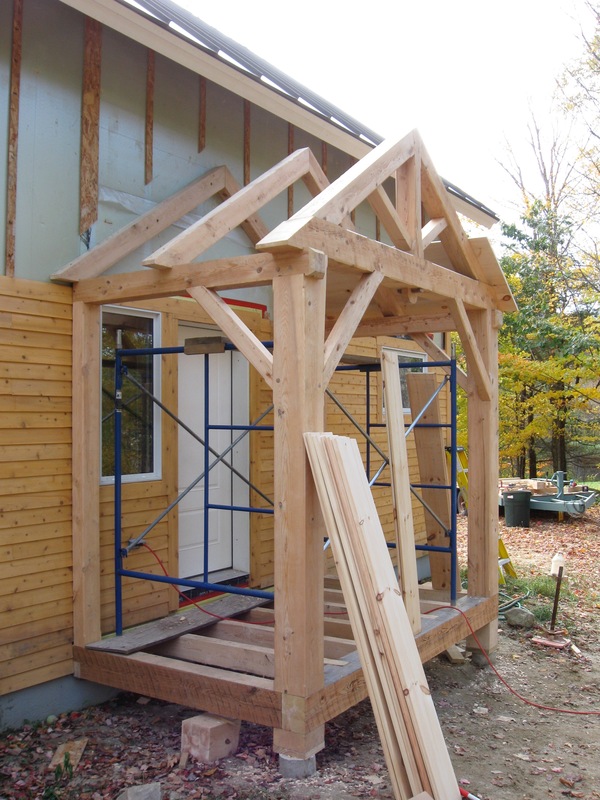 We built two porches out of hemlock and oak for a client in Lincoln. 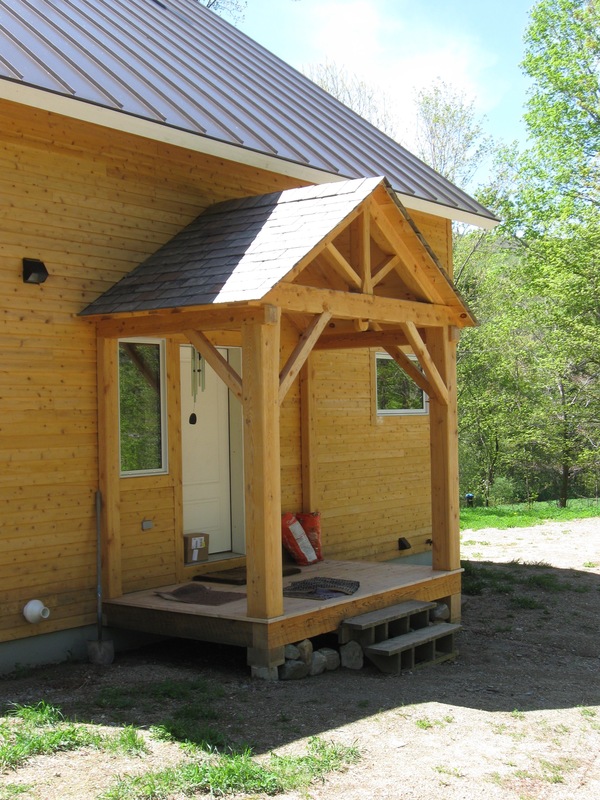 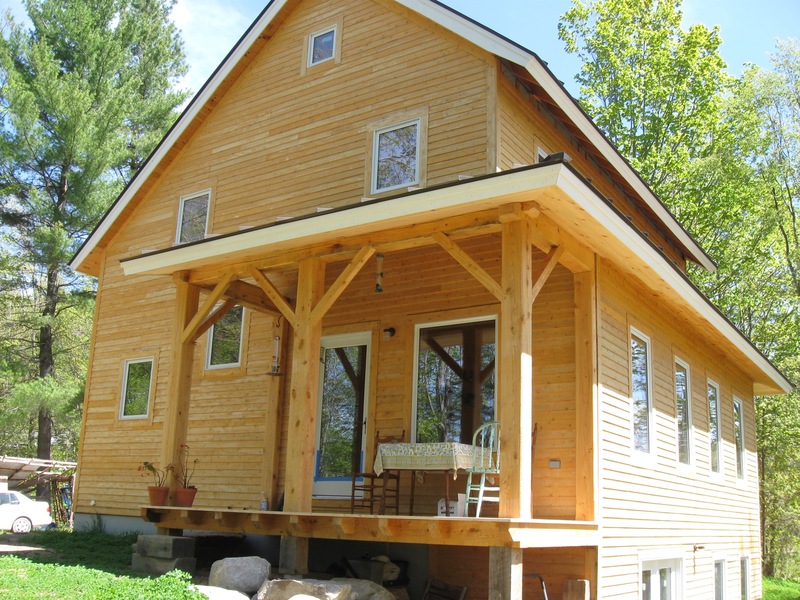 The small front porch features a slate roof, a king-post truss and a three-way joint called the english tying joint. 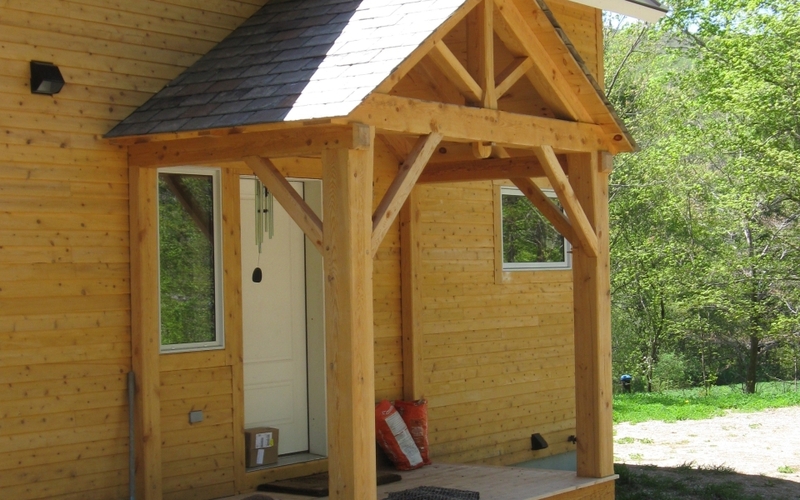 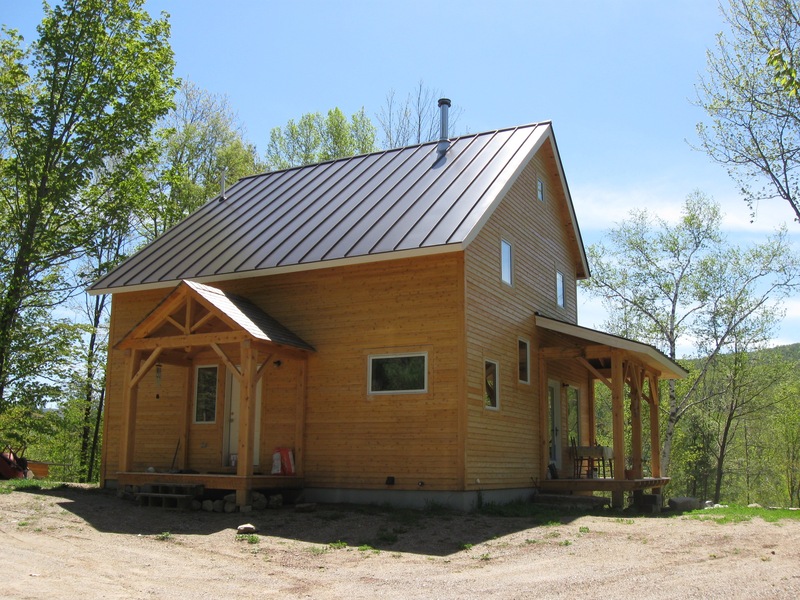 The larger side-porch has an irregular-pitch hipped roof.